There are two reasons I would never read David Wroblewski’s The Story of Edgar Sawtelle, the first being the Oprah mark-of-shame tattooed on the back cover. Yes, I am one of those people too hip for Oprah. In all seriousness, I generally have no interest in her selections for reasons both aesthetic (I despise the ‘dis-enfranchised hero overcomes trauma and is all the wiser for it’ subgenre of literature that Oprah dotes on) and political. I know, it’s all very tedious and pretentious but I am merely describing a knee-jerk reaction and not a way of life. The second reason is that the book lifts its structure from Hamlet and as a shameless English major, that whole scene has been done to death, resurrected, and then done back to death. It was Stephen King’s gushing praise for Wroblewski that persuaded my hipster prejudices to ‘get over it.’ Uncle Stevie has never steered me wrong. Thanks to him, I discovered Dan Simmons and Jack Ketchum in a single trip to the library. And so, I began The Story of Edgar Sawtelle one afternoon in a local mega store. The pace, while dreamy, is tight and fast. The novel follows the Sawtelle family and their ongoing efforts at maintaining a legacy of dog breeding. This is one of the more fascinating aspects of the book, as Wroblewski goes to great lengths to chronicle the Sawtelle’s unique and meticulous methods of selection and breeding. The family’s young Edgar is born without the ability to speak, and the role of companionship and communication in training the Sawtelle dogs become that much more significant. Almondine, one of the dogs, discovers she alone can hear baby Edgar’s cries in a passage that is touching and beautifully written. Wroblewski’s portrayal of Almondine rides that sweet line of being tear-jerking without veering into sentiment, and somehow avoids anthropomorphizing the animal. It is a voice complicated, wise, and yet utterly inhuman. The beasts surrounding Edgar are as magnificent and inspiring as I have ever read. I want a Sawtelle dog. I want twelve of them. The best writers create something completely fictional with a vision and skill that make their stories utterly real in the eyes of the reader. The Sawtelle dogs are real to me. This idyllic life (say it with me kids, this kingdom) is altered by the arrival of Edgar Sr.’s younger brother Claude, an alcoholic charmer with a shady past who has his own talent when handling dogs. His arrival destroys the Sawtelle family and Edgar finds himself on the run in the wilds of Wisconsin with three yearling pups. This is Wroblewski’s venture into the magical and supernatural, employing a ghost to propel his protagonist. It is in the wilds that Edgar comes into manhood (via The Jungle Book). He and the dogs must recalibrate notions of morality and survival, while back home Claude guides Trudy in selling the Sawtelle legacy to a catalogue company. Anyone familiar with Hamlet knows Edgar’s return yields more tragedy than happiness, but by the time such events occur, I admit I had lost all thoughts and concerns about the melancholic Dane. I was completely invested in the world of Edgar Sawtelle. If sections of this book do not move you to sentiment, then it is entirely possible you have no soul. Friends and neighbors, I read lots of books; good books, trashy books, bad books, and ‘great American novels’. I have been trained to read with a critical eye, to pick apart a theme, dissect structure, analyze pacing, just like a skilled physician can discern the slightest malady when examining a patient. So understand my full meaning when I tell you that I utterly fell out of my chair and into the wilds of northern Wisconsin when I read this book, leaving all of life and my own education and prejudices behind. This can’t be Wroblewski’s first novel; the rich narrative and deeply immersive descriptions rivals anything I’ve read in years. The story is Hamlet retold (a mother named Trudy, a shady uncle named Claude), but after the first hundred pages this is an ancillary fact. The pillaging of the literary canon for pop-culture fodder has yielded large profits in recent years, from movies (10 Things I Hate About You, Clueless) to pop-genre fiction (Pride and Prejudice and Zombies, Abe Lincoln the Vampire Hunter). To place this novel among the fun but trite ilk is to discount the wholly original American tale that is Edgar Sawtelle. Hamlet is only a template Wroblewski uses to tap into a tale of universal human struggle. The story is so richly immersing that all parallels are lost as the reader follows young Edgar from the trials and challenges. Anyone sly enough to pick up on knowing nods to Shakespeare’s most famous creation will nonetheless be at a loss to predict any thing. Edgar and his dogs face a world without form and meaning in the wake of incalculable loss and compromised re-definition. In this sense, the novel transcends the current Weird Al Yankovic level of pop art pillaging of literature’s greatest works. Instead, it takes torch from the masters of the past and forms an original and compelling tale in its own right. 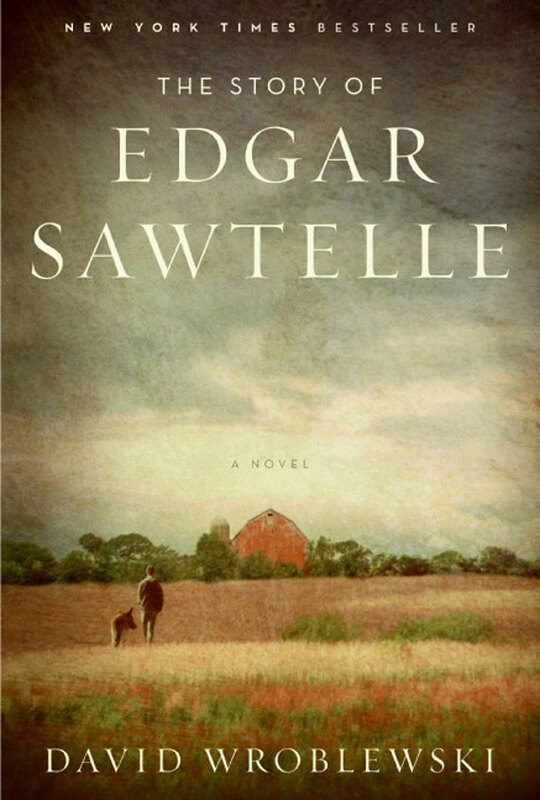 The Story of Edgar Sawtelle achieves its own triumph, swimming in the waters of Hamlet while guiding the reader to toss his predispositions of such classic forms and conventions aside. The novel is a journey of personal growth and loss without any sense of irony or referential “winks” to the omniscient fourth wall. It is a rare work that can start on one of literature’s most well trod paths and in the process keep one utterly flummoxed as to where the next bend ends. If I seem to gush, well then, I gush. This book sucked me in from the start, and I checked my critic’s eye at the door. I couldn’t help it. Highest recommendations. Awesome review, Amy! *sighs* Another book added to my non-school list that I'll never get to!